The connector that started it all, an American Classic. The IDEAL Wire-Nut® Wire Connector set new standards for innovation, quality and convenience when it was first introduced in 1928. As the first screw-on wire connector in America, it literally set the industry standard for years to come. 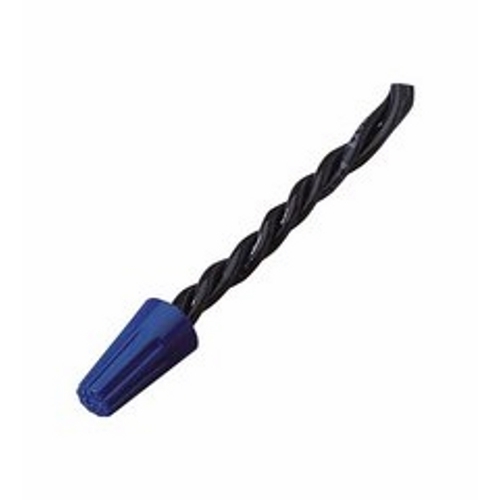 With a fixed, square-wire spring and a positive grip shell, the Wire-Nut® is perfect to twist-on with fingers for a secure connection that will last. The refined wire range makes it the best choice for fine stranded wire applications. The Wire-Nut® also features a tough, flame-retardant thermoplastic shell that withstands environmental extremes and is reusable for easy circuit changes and addition. With five color-coded models available, Wire-Nut® Wire Connectors will handle any job from as small as #22 gauge wire up to #6 gauge wire. Additionally, Models 71B®, 72B®, and 73B®, in both color or black high-temp, are the only twist-on wire connectors rated for use in Air Handling Spaces. These connectors can be used on Class 2 or low-voltage connections inside plenums, ducts, and other environmental air handling spaces without the need for a box. The black high-temperature models are designed to withstand the extreme heat build-up found in high-wattage light fixtures and signs.